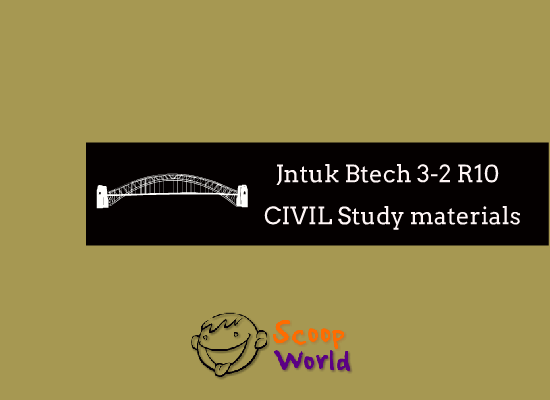 Get here all civil engineering jntu 3-2 semester r10 regulation study materials,text books,ebooks and notes in pdf.Download all CIVIL branch 3-2 and 2-2 btech previous question papers. Like our work then share the links on facebook.Contact us for more materials. Jntu kakinada Btech Civil engineering R10 regulation 3-2 semester study materials,text books and ebooks subject wise download.Get all materials with respect to your branch in ScoopWorld.